The Walter A. Compton Collection. 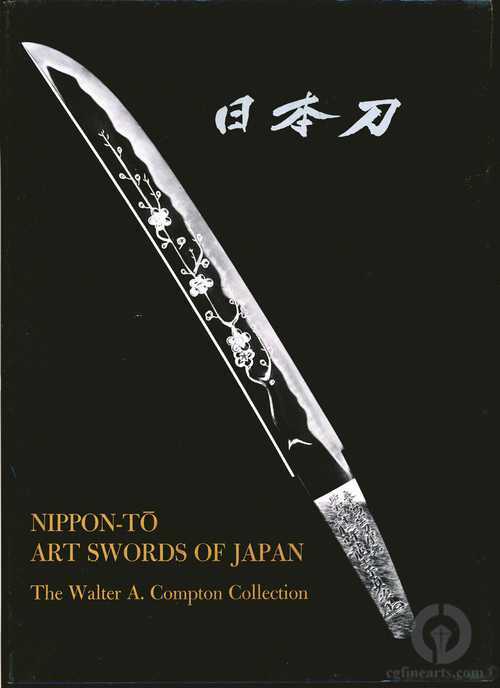 Published by the Japan House Gallery in 1976, this first edition has 134 pages and contains 38 color and 82 black and white photographs of blades, Koshirae and Kodogu from the collection of Walter A. Compton. 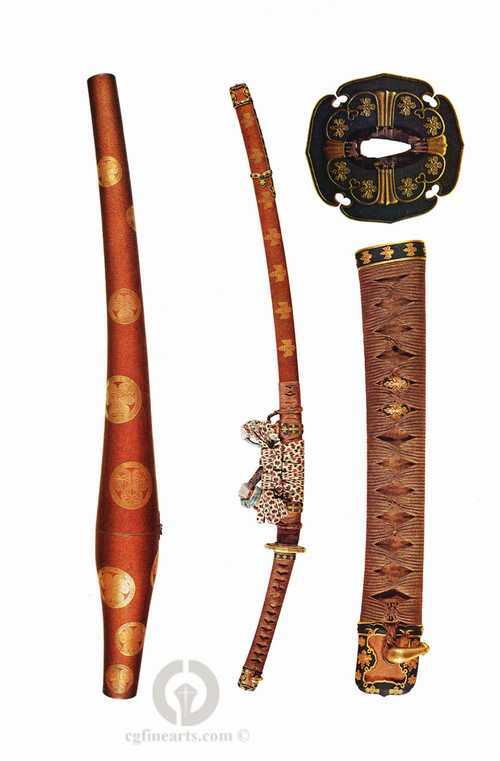 The book also contains forewords by Homma Junji, Sato Kanzan, Walter A. Compton and a lengthy description of the sword and its history by Ogawa Morihiro. Explanations of sword and Nakago shapes, different forging and tempering characteristics, Horimono and signatures make this a very desirable book. Mint condition, in slip cover.